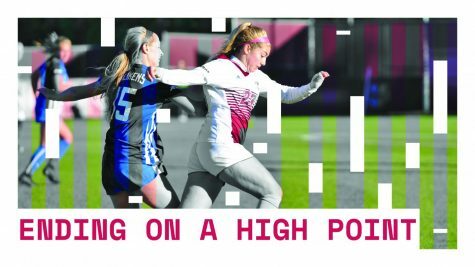 Corner kicks have been an area of weakness for the Massachusetts women’s soccer team so far this season. Through their first eight games, the Minutewomen have 25 corner kicks, converting on a very low percentage. 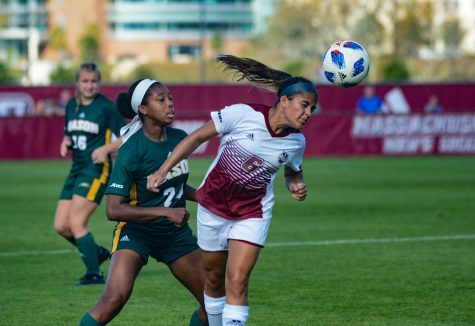 That, however, was not the case Thursday afternoon, when UMass defeated Brown in extra time with a header by senior forward and co-captain Deanna Colarossi from a corner kick off the foot of freshman forward Tori Sousa. The goal, a header hit in traffic off of the corner of the post, led to the team’s fifth win of the season and third consecutive 1-0 shutout. 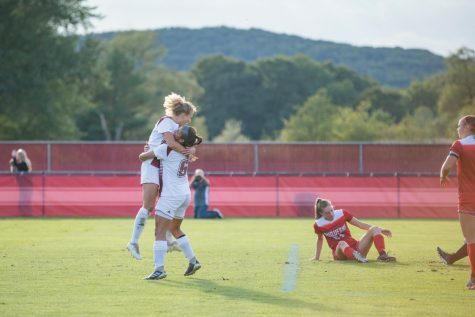 All three of the shutouts have come against winning teams, including Maine and Boston University. One of the driving forces behind the current winning streak is the consistently solid play of junior goalkeeper Emily Cota. Cota, who has a 3-1 record in her four starts in net this season, boasts over 273 consecutive minutes without allowing a goal and has made 11 straight saves spanning her past three shutout victories. When including her 2-1 loss at Harvard two weeks ago, Cota has a 0.50 goals-against average, a .905 save percentage and 19 total saves in four games. Last year, Cota started 13 of the Minutewomen’s 19 games, posting a 6-7 record with a 1.75 goals-against average and five shutouts. As impressive as the goalkeeping has been, the offensive production at the other end of the field has been just as exciting. Each one of the game-winning goals in the past three contests has been scored by three different international players. Colarossi, the hero in Thursday’s game, is from Burlington, Ontario, Canada and has been a member of the Minutewomen since her junior year. 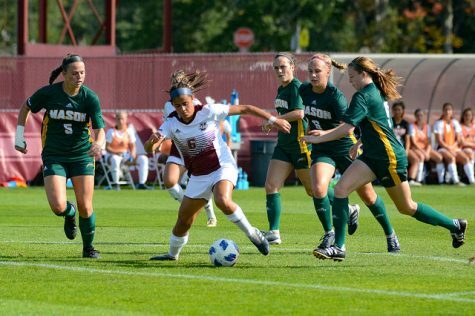 In her time spent at UMass, Colarossi has scored 11 goals and five assists in 27 games played. 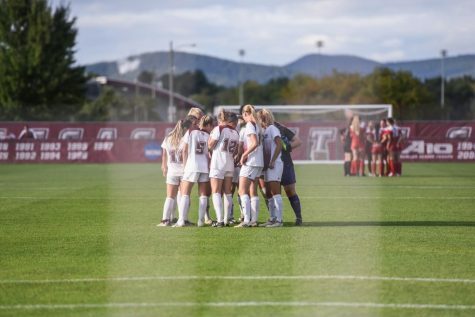 In the Minutewomen’s contest against Maine last Friday afternoon, freshman midfielder Moa Mattsson scored the game’s lone goal in the 88th minute. 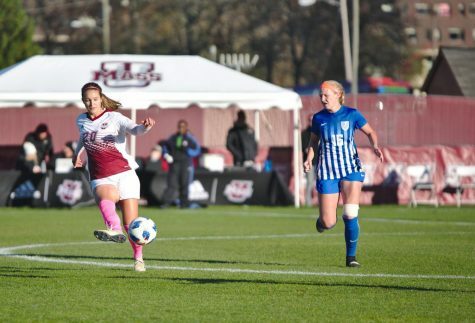 The goal, which was the first of her collegiate career, was an unassisted shot from about 20 yards out. 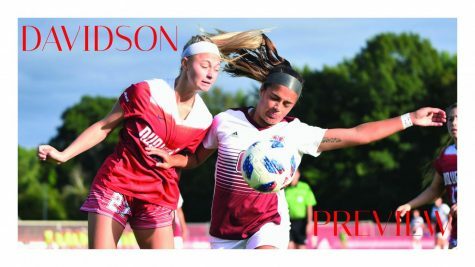 Mattsson hails from Uppsala, Sweden, and made a name for herself as a member of the U-19 Swedish National Team. Earlier this year, Mattsson earned a spot on the 2011 Preseason Atlantic 10 All-Rookie team. In the Maroon and White’s big upset win against No. 20 BU on Sept. 11, it was sophomore defender Grace Coombs that scored her first collegiate goal halfway through the first half. 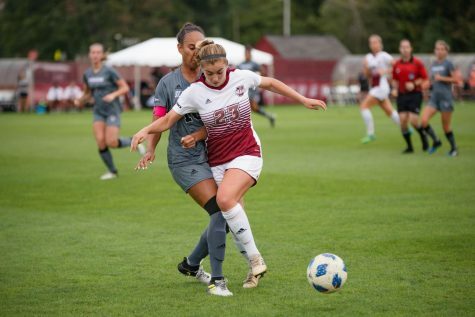 Coombs was awarded the Co-Atlantic 10 Rookie of the Week and the UMass Athlete of the Week honors. 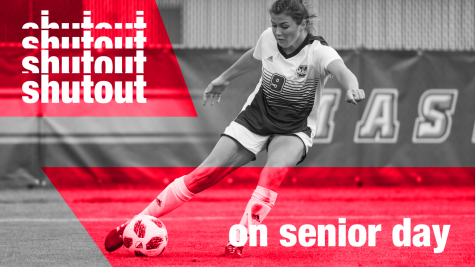 Coombs, a native of Bexleyheath, England, transferred stateside after finishing her freshman year at the University of Kent. 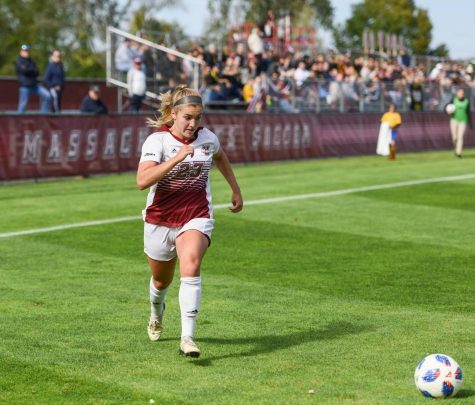 When asked about how it felt to have several different players step up and score key goals in multiple games this season, Colarossi was more than pleased with her team’s collective output. 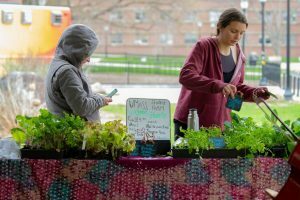 “Last year, we had a lot of talent but we were a lot more individual,” said Colarossi. 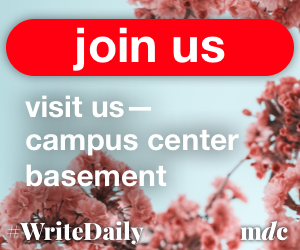 “This year, we are working on doing things as a team… Instead of having four or five people and then someone is having an off day, it’s like nine or 10 people.